125 years of innovation and customer-centered service. 42 years of medical packaging leadership. 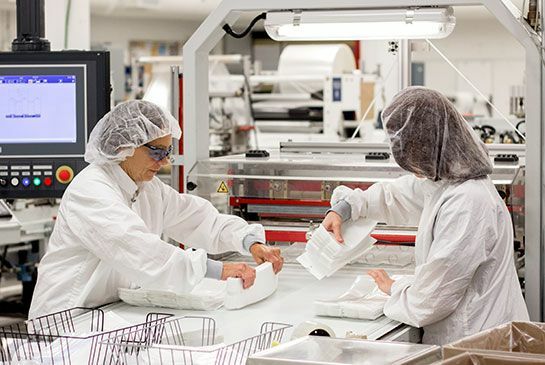 Medical device, pharmaceutical and biologic companies around the world trust us to protect their products with sterilizable, cost-effective, protective packaging. From design to printed finished products, we deliver responsive, flexible solutions tailored to the needs of our customers. We take care of our customers. Companies that produce medical and pharmaceutical goods carry the weight of perfection on their shoulders, and we help carry the load. That means staying in front of new developments shaping the industry and following products every step of the way with testing, validation, compliance and performance tracking. We’re known for the service we provide and proud of the service reputation we have built with customers around the world.